We are South West based experts in chimney sweeping as well as the maintenance of solid fuel burners, flues and chimney pots. Feel free to contact us via email to find out more information, get a quote or arrange a free, no-obligation survey. Alternatively you can call us directly on 07541 611 875. We offer one of the industry's cleanest and most efficient methods of chimney sweeping. We are able to fit a range of different style and colour chimney pots, guards, cowls and caps. Bird nest removal can prove difficult, which is why we use special equipment and techniques to ensure complete removal. Full stove servicing is available to ensure your stove is working flawlessly. We also offer a stove repairs service. Sweeps and Stove Maintenance are North Somerset based experts in chimney sweeping as well as the maintenance of solid fuel burners, flues and chimney pots. We offer a full range of services including power chimney sweeping, stove/wood burner maintenance and repairs, chimney pot/bird guard installation, flue lining and much more. We have over 10 years of industry experience, offering a range of services to suit all different types of properties and stove installations. 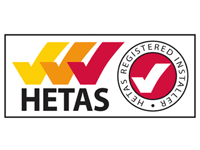 Furthermore, being a member of the Guild of Master Chimney Sweeps, as well as HETAS and Rodtech approved, you know you can rely on us. At Sweeps and Stove Maintenance we use the rotary power sweeping method, the latest method in chimney sweeping. 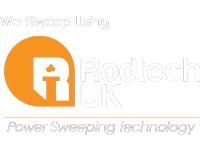 Power chimney sweeping has been specially designed to create an efficient and unrivalled clean for both domestic and commercial applications. Where the traditional method of chimney sweeping only offers a gentler sweep, the power sweeping method is capable of being anywhere from a moderate to an aggressive sweep dependent on the conditions of the flue. However, if the internal conditions of the flue or chimney is poor, then we may recommend undertaking the traditional sweep method. We also offer tar removal with the use of a specially designed chain flail to ensure effective tar and creosote removal, whilst minimising the amount of damage done to the flue. For an even more effective removal of creosote, we can perform a sweep utilising Cre-Away Pro which aids creosote breakdown. If you have a query or would like a quote regarding a power chimney sweep or tar/creosote removal, please send us a message. Chimney pots can be used to add character to the exterior of your home, but they also offer an important function to your fireplace. Chimney pots are tapered in shape to generate a larger updraught which aids in the efficiency of the fireplace, and also ensures soot and smoke is effectively drawn up the flue. We offer a range of materials, colours and designs to help choose the perfect chimney pot to suit your home. If you find that your chimney is often blocked by bird nests, then we can also install bird guards to prevent this from being a recurring problem. If you have a query or would like a quote regarding chimney pot or bird guard installation, please send us a message. Bird nests found in chimneys is a common problem to face, but the problems they can cause can be difficult to deal with. One of the main problems is that a bird nest can block or restrict the flow of the chimney, causing soot and smoke to enter the room. Other problems include the bird nest slipping down the chimney, meaning the birds are not capable of getting enough lift to fly out of the chimney and they get stuck. A dead bird can cause an overpowering smell, thus attracting flies. If you suspect that there is a bird nest in your chimney, we do not recommend you try to burn it out. We recommend that you enlist a professional chimney sweep to remove the nest and install a bird guard. If you have a query or would like a quote regarding bird nest removal, please send us a message. It is advised that, in preparation for winter, your solid fuel burning stove should undergo an annual service which involves stripping, inspecting and cleaning the appliance. Where necessary, we will replace internal parts that may be damaged or worn from use, including the rope seal. Once all internal parts have been stripped and cleaned, the stove will be put back together along with greased hinges and air controls. If you have a query or would like a quote regarding stove servicing or repair, please send us a message. If you have any questions regarding prices, services or would like to find out more, please send us an email using the form below.